FDOC Letter to the Editor. Over the weekend, the New York Times published an opinion piece, in print and online, critical of juice, including 100% orange juice. The article, written by three pediatricians, makes overreaching statements on consumption levels and the health impacts of juice, focusing solely on negative impressions without regard for the positive nutrient benefits 100% orange juice provides. 100% orange juice is the most nutrient dense of all commonly consumed 100 percent fruit juices. 100% orange juice contains no added sugar, and the Florida Department of Citrus stands by the American Academy of Pediatrics recommendation for appropriate daily portions for children (4 to 6 ounces) and for older kids and adults (8 ounces). 100% orange juice is a nutrient-rich tool to be used as part of a healthy diet in moderation. At a time when many Americans are not meeting recommended fruit and vegetable intakes, 100% orange juice can be a tasty and convenient way to meet daily fruit needs and to address under-consumed nutrients, like potassium, for both children and adults. The majority of research shows that there is no association between the consumption of 100% orange juice (100% fruit juice) and overweight or obesity status, BMI, body fat percentage or waist circumference in children or adults. 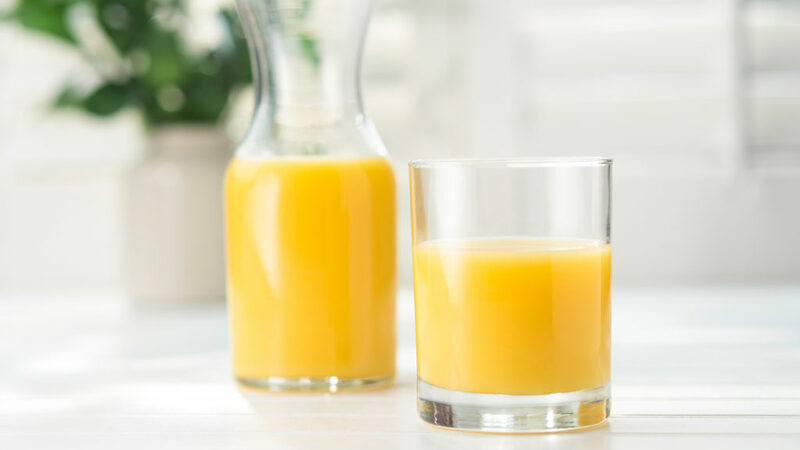 Additionally, studies show that the consumption of 100% orange juice is not associated with the adverse effects often seen with the overconsumption of added sugars, such as increased risk for metabolic syndrome, insulin resistance, and elevated glucose and insulin levels.